Although an Iosco County forest fire destroyed a handful of homes Sunday, every charred jack pine tree will create a new home for a species of endangered bird. The existence of the Kirtland's warbler is a battle between Mother Nature and Smokey the Bear, experts say: The flames destroy one species' home while creating another's favorite habitat. "A fire is devastating to the people who live out there, and it looks awful with all the smoke and black," said Ed P. De Vries, assistant manager of the Shiawassee National Wildlife Refuge. "But it actually improves the habitat for the Kirtland's warbler." 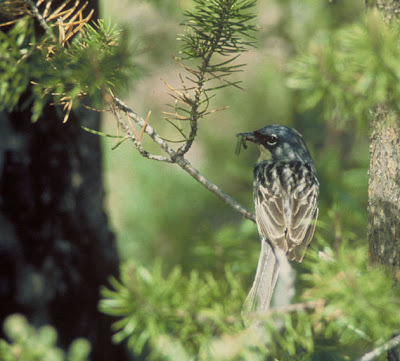 Kirtland's warblers, which the federal government listed as an endangered species in 1967, have made jack pine trees in Michigan's Lower Peninsula their only consistent nesting and breeding grounds. Eager to reduce the neighborhood pigeon population and the mess that comes with it, Hollywood residents appear ready to try a new birth control method on their wild birds. Beginning within the next couple of months, a substance called OvoControl P will be placed in kibble in new rooftop feeders, say residents and state and local officials. The substance, which interferes with egg development, generally is viewed as a humane way to lower the birthrate of the birds, which many residents consider a nuisance. "We clean doo-doo all the time and are proud of it," said Laura Dodson, president of the Argyle Civic Assn., the Hollywood group leading the effort to try the new contraceptive. "But our streets are getting bombarded by the poop way too much." Interesting article. Read the entire thing. Know of a community that would benefit? Think it's inappropriate? I'd like to hear your thoughts. Have you seen the September/October issue of WildBird? It features the 16 winning images in this year's photo contest. Mike will receive a Kowa Genesis44 binocular as his prize. In fact, each first-, second- and third-place winner in each of the five categories will receive a prize. The grand-prize winner will receive a Canon EOS 30D camera. The rules, entry form and prizes for the 2008 contest will appear in the March/April and May/June issues. In the meantime, enjoy the 16 winners in the current issue, and let me know which you like best! Got a knack for wordsmithery? Put your writing skills to work, and earn two recently published books! If your tale wins the First Friday contest, then you get your pick of reading material from the WildBird bookshelves. Will it sweeten the pot if I also offer a Swarovski binocular harness? Send your tale to me on Wednesday, Aug. 1, in an e-mail or as a Word attachment. Include your mailing address. With two or more entries, we'll have a contest, and the winner will appear on Aug. 3. Looking forward to receiving your story! Preliminary results from the U.S. Fish and Wildlife Service and Canadian Wildlife Service’s Waterfowl Breeding Population and Habitat Survey indicate a total duck population estimate of more than 41 million birds in the traditional survey area. This represents a 14 percent increase from 2006 and is 24 percent above the 1955-2006 average. The Waterfowl Breeding Population and Habitat Survey, the largest and most comprehensive survey of its kind in the world, samples 1.3 million square miles across the north- central United States, south-central and northern Canada, and Alaska. The survey estimates the number of ducks in the continent's most important nesting grounds. 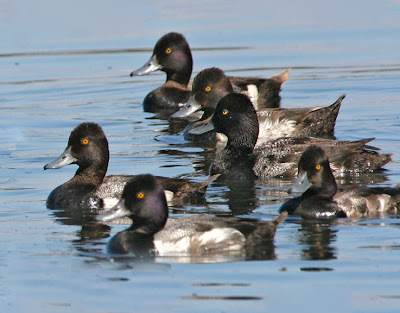 Not surprisingly, Northern Pintail and Greater Scaup (above) -- but not Lesser Scaup -- appear on National Audubon Society's list of the top 20 common birds in decline. For multitudinous details in the USFWS report, click here. At 8:30 a.m. Sunday, my cell phone rang with blogger Mike Bergin of 10,000 Birds on the other end. He was on his way toward John Wayne airport so that I could collect him for a day of Orange County birding. I predict that he'll post a fun read with good photos of his finds at the three stops during our eight-hour excursion. See if I'm correct. My favorite moment of the day might've been when I tentatively pointed out a bird and his response was "Get out!" with a punch to my upper left arm. "Bird Habitat, Aisles 1 Through 8"
Did you see the Washington Post article about House Sparrows taking up residence in big box stores that sell birdseed and gardening supplies? Like any discerning shopper, the common house sparrow knows where to go for a good deal in the suburbs. At Lowe's, Wal-Mart, Home Depot and other keepers of vast birdseed stockpiles, the only thing standing between worry-free opulence and the travails of outdoor living is an automatic door. Not that it's much of an obstacle. Thanks to the leafy, well-watered garden center -- now a standard appendage of the large retail layout -- clever birds are finding a niche in the big-box ecosystem, much to the chagrin of store managers. Check the ceiling of any large store with a high roof and a birdseed aisle, and there's likely to be more than a few of the feathery critters frolicking in the rafters. Then it quotes Rob Fergus aka The Birdchaser. Go read! My apologies for the belated posting. The deadline for the September/October issue took precedence. Thank you to all who submitted entries for this month's contest! We enjoyed reading them. Congratulations to Sam Yang, who now has the choice of two recently published books! If you want to earn that choice, then write an original 500-word short story about birds, birding or birders that includes a setting, a character or characters, a conflict and a resolution. Also, the birds cannot be anthropomorphized. The next deadline is Aug. 1. I hope to hear from you! Now, here's Sam's winning entry for First Friday, "Winter Cemetery." Enjoy! Winter had come early this year. No one knew why; it just had. It was one of those freak phenomena that Cliff hated. He hated winter. He hated the white blanket that it threw over the bustling woodland life that he loved so much. The muffling crunch and all the silence that it cast over his beloved valley -- it seemed so... dead. At least, that’s what it seemed like, as he sat at his table, hot chocolate clutched between his hands, his eyes gazing wistfully out the foggy windows. Through the frame of frosty ferns and trees lay what people liked to call a winter wonderland. Yeah, right, Cliff muttered in his mind, more like a winter cemetery. Suddenly, a flash of russet beckoned for his attention. Surprised, he looked at what he had thought was a dead leaf, tracing, against the blinding snow, the form of a bird. He only had time to drink in the graceful curves and a delicate head, balanced over the pristine snow banks. Then it was gone, a flurry of wings carrying it aloft into the backdrop of dreary woods. Unable to resist the tantalizing thought of a bird in this barren winter, Cliff donned his parka and trekked out, tuning out the crackles and pops of the snow beneath his boots. He scanned the sylvan vista, cloaked in the tendrils of winter’s icy grip, and just had time to glimpse a palette of beige and sienna before seeing it flip behind the frosted landscape. Gently, he stole behind the outcropping and finally found his grail. It was a hermit thrush, a bit out of place, caught by the sudden winter. Like me, he chuckled to himself, taking in the spangle of stars on its breast, the red stained glass of its tail. The thrush fluffed its feathers, shielding itself from the brisk zephyrs swirling around him. Dazedly, it looked around through ink-black eyes at the changed world. A fluttering snowflake landed on its beak, and Cliff chuckled as the thrush shook its head to get rid of it. 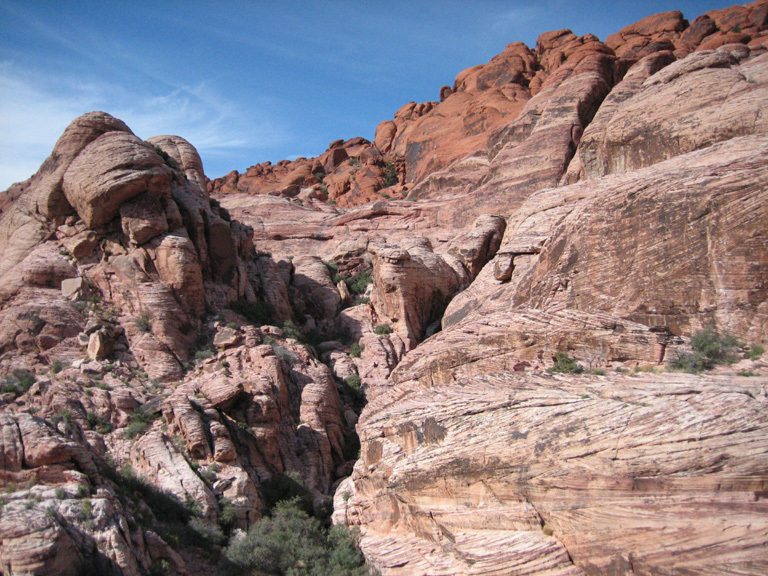 Cliff watched it dip behind an outcropping, slicing like a leaf toward a new destination. Held in the bird’s spell, he once again followed to its new perch, looking in unrestrained awe at the tiny form, pasted in a perfect symphony of curves and color on the tip of a verdant pine branch. We both may be caught in the winter, he told himself, but he’s taking it a lot better than I am. Laughing at his life lesson from a bird, he gave the bird its solace in the wintry world it called home. Cliff, however, returned to his home, a crackling fire waiting for him. Somehow, though, the winter cemetery that lay out of his window didn’t seem so dead anymore. - Players write a post with eight random facts/habits about themselves. - At the end of that post, they "tag" eight bloggers to write similar posts, including the rules. - The players then leave a comment to tell the "tag-gees" about the meme. 1) These days, Black Holes & Revelations by Muse is getting serious rotation in the CD players in my car and office. "Supermassive Black Hole" makes me moooove. 2) I worked as summer camp and outdoor education counselor during high school and college at Camp Stevens, just outside of Julian, Calif. It provided a fantastic intro to the delights of nature. 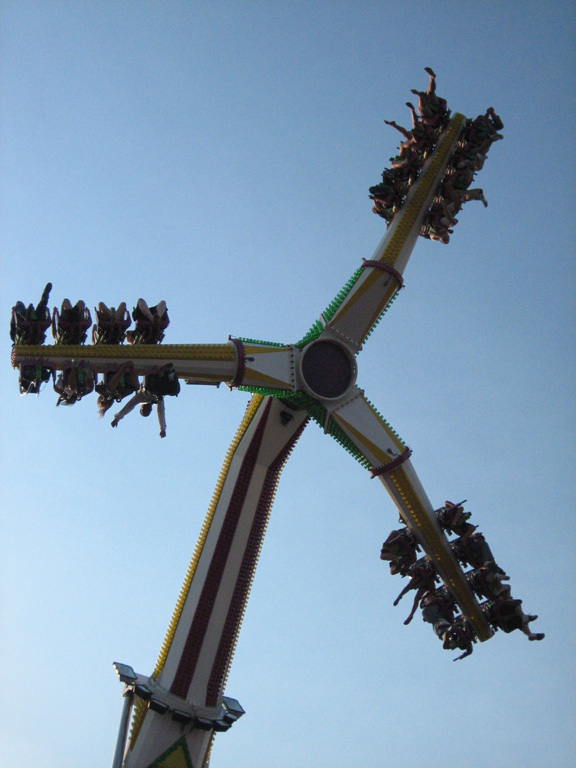 3) One of the reasons I love summer is the arrival of the county fair -- and the deep-fried Snickers and the scream-inducing rides (not partaken in that order, however). 4) When stressed out, my voice sometimes changes to a Southern drawl. I don't know where it comes from but like to blame my parents' Midwestern (southern Indiana) and Southern (Arkansas) roots. 5) I consider the desert a starkly beautiful place. I've been spending time there since childhood -- initially to camp and ride motorcycles, now to bird and take photos. 6) Romance novels provide the perfect escape from deadline stress. Favorite authors include Susan Andersen, Amanda Quick, Suzanne Brockman, Katie MacAllister, J.R. Ward and ... oh, the list goes on and on. 7) I've made some good friends via MySpace, which has been a pleasant surprise. 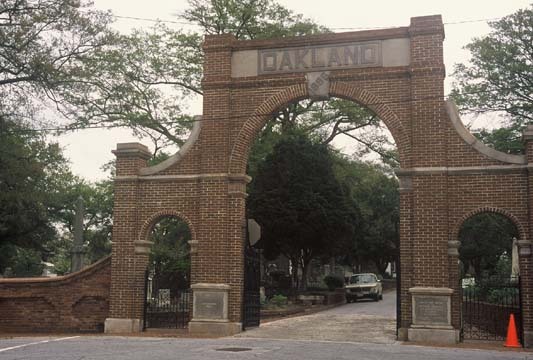 8) Five years ago, I drove from Southern California to Atlanta and back by myself in a 30-year-old car... just for fun. The throttle linkage broke on the first night, but a plastic zip tie and a little heel-toe coordination kept the car functional for two weeks. JUST as the Bee Gees' disco style sounds antique compared to hip-hop, birdsong can also go out of fashion. Such stylistic changes may help explain how mating barriers arise, eventually leading to new species. Behavioural ecologists have long known that some songbirds develop local dialects, and that individual birds respond more strongly to their own dialect than to a foreign one. Less is known about how, or how quickly, such differences arise. 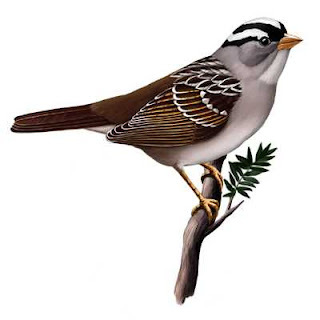 To study how a dialect changes over time, Elizabeth Derryberry, a behavioural ecologist at Duke University in Durham, North Carolina, compared recordings of male white-crowned sparrows' song from 1979 - when the Bee Gees topped the charts - and 2003. The modern song, she found, was slower and lower in pitch. Derryberry received a research award in 2004 from the American Ornithologists' Union for "The impact of culture and selection on vocal performance: implications for song evolution." from the Endangered Species List! Put your writing skills to work, and earn two recently published books! If your 500-word story about birds, birders or birding wins the First Friday contest, then you get your pick of reading material from the WildBird bookshelves. Maybe you'd like to see Why Don't Woodpeckers Get Headaches? by Mike O'Connor, National Geographic Field Guide to Birds: Arizona & New Mexico or Wetland Birds of North America by Scott Leslie in your mailbox. It cruised the skies above the Argentine pampas about six million years ago, a soaring behemoth of a bird, the size of a modern light aircraft, dragging about 140 pounds in ballast. 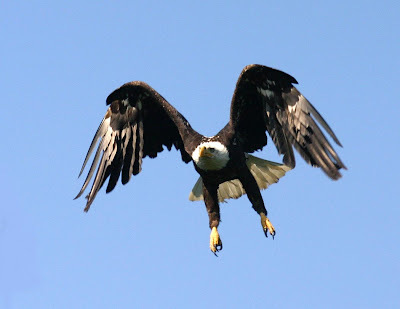 But with little in the way of muscle to flap its wings and propel itself through the air, just how did the largest bird to ever take wing stay aloft? That question has puzzled paleontologists for decades, but in a study released Monday, US researchers suggest that the now extinct Argentavis magnificens was essentially an expert glider, hitching a lift on thermals and updrafts. BOIS CHERI, Mauritius (Reuters) -- The remains of a dodo found in a cave beneath bamboo and tea plantations in Mauritius offer the best chance yet to learn about the extinct flightless bird, a scientist said on Friday. The discovery was made earlier this month in the Mauritian highlands but the location was kept secret until the recovery of the skeleton, nicknamed "Fred", was completed on Friday. Four men guarded the site overnight. This quote makes me grin: "The geneticists who want to get their hands on this will be skipping down the street." Did you make it to the coast this weekend? If not, here's a snippet. About two or three times a week, I walk next to/in the water at Huntington State Beach. The Magnolia entrance opens about 6 a.m., and an annual state park pass lets me avoid spending $10 each day that I visit. After parking next to the Santa Ana River, I walk along the path toward lifeguard station 2 and the spot where the river flows into the ocean. From here, I can see the nesting sanctuary for endangered California Least Terns and watch as the small birds plunge-dive for fish. While walking north toward lifeguard station 6, I typically see California Gulls, Western Gulls and Ring-billed Gulls sitting on the damp sand or standing on the berm, Willets pumping their bills in and out of the wet sand, Brown Pelicans skimming the waves or plunge-diving amid the surfers, and Barn(?) Swallows fly-catching amid the seaweed piles. Occasionally, Marbled Godwits probe for prey as the waves wash out, and Black Skimmers fly straight and fast above my head. This morning, a Great Blue Heron looked majestic as it flew south toward Newport. After 30 minutes on the sand, I zoom south on Pacific Coast Highway, then prepare for another workday. Is it possible to become addicted to the feel of cool water washing over my toes, the sound of breaking waves and the sight of swallows skimming the seaweed piles? 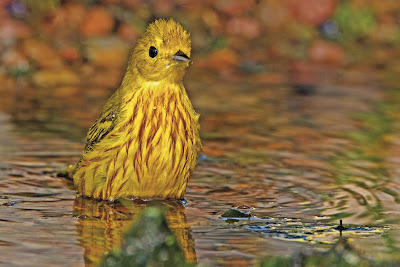 Do you know "a bird watcher who can schmooze"? According to the New York Times, that might be who should head the Smithsonian Institution. After failing with a businessman, does the Smithsonian want to return to its scientist leaders of the past? S. Dillon Ripley, secretary from 1964 to 1984, who died in 2001, was a biologist and bird-watcher, yet presided over the Smithsonian’s greatest period of growth. Under Mr. Ripley, the Smithsonian built eight new museums, increased annual visitors to more than 30 million from 10.8 million, moved into television and started Smithsonian magazine, which has a circulation of two million.